People are tightly holding on to their money now, all thanks to a global market that has been unable to keep its pants from falling down. But this won’t stop Mercedes Benz from adding a new car in their lineup. Enter the CLC 180 Kompressor Sport, which is now available locally for the first time since it has been launched globally last year. While its front and tail have been updated to match the aggressive look of its C-Class cousins, the CLC 180 Kompressor Sport retains its two-door configuration and hatchback profile. Equipped with a four-cylinder 1.8-liter engine that produces 156 horsepower at 5200 RPM, this luxury coupé may not be as speedy as the other sports cars around. 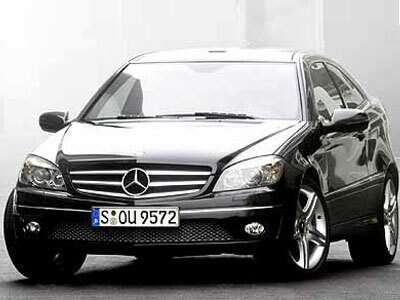 But make no mistake, this one’s still faster than most cars tearing up Edsa—plus it’s a Mercedes for crying out loud!